FREE Shopkins Poster & Trading Cards! You are here: Home / FREEbies / FREE Shopkins Poster & Trading Cards! 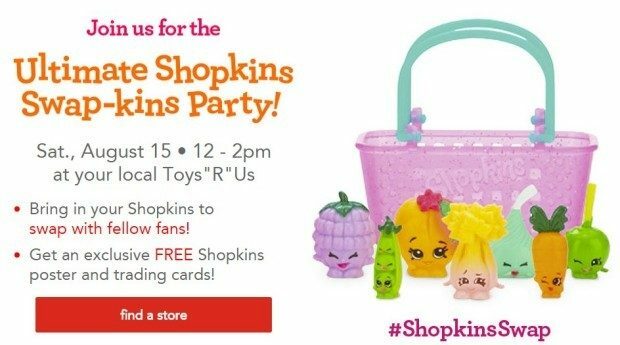 Plan to take your Shopkins fan to Toys-R-Us on Saturday, August 15th to the Ultimate Shopkins Swap-Kins Party! The party is from 12 pm – 2 pm and you’ll get the swap Shopkins and also get a FREE poster and trading cards!